Welcome to the home of the Tesla Owners Club of the Mid-Atlantic (@TeslaMdAtlantic). We are a non-profit social group for current and prospective Tesla owners. While being social and having fun with fellow club members is our primary mission, we also advocate for the use of sustainable energy, which includes promoting the use of electric cars and the use of solar, wind, and other renewables. 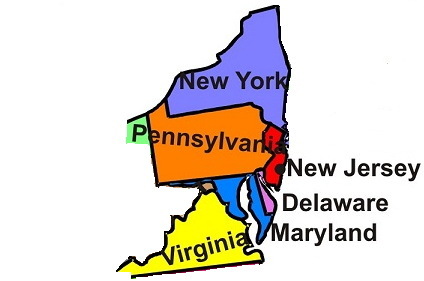 We are the official Tesla owners club for the Mid-Atlantic region, which includes the states of Delaware, Maryland, New Jersey, New York, Pennsylvania, Virginia, and the District of Columbia. You can also find us on Twitter @TeslaMdAtlantic which will provide posts for upcoming and future events as well as keep our members in touch with whats going on in the club. Our original twitter feed @TeslaRoadTrip, with over 50,000 followers (including Elon Musk) will continue to operate as a Tesla, Science, Climate and Information news source and will also retweet everything from @TeslaMdAtlantic. You can also visit on our @TeslaMdAtlantic Facebook page and see highlights from our previous events in the Photo Albums. Welcome new Model 3 owners! If you met us during the 9/29-9/30 weekend delivery event, it's good to see you again! To everyone else, welcome! Below you will find a few resources to help you become more familiar with your new Tesla.